Our General terms shall exclusively apply to the rendering of services at our website (hereinafter referred to as "fcandfc.com website") by end customers (hereinafter referred to as "Customers"). 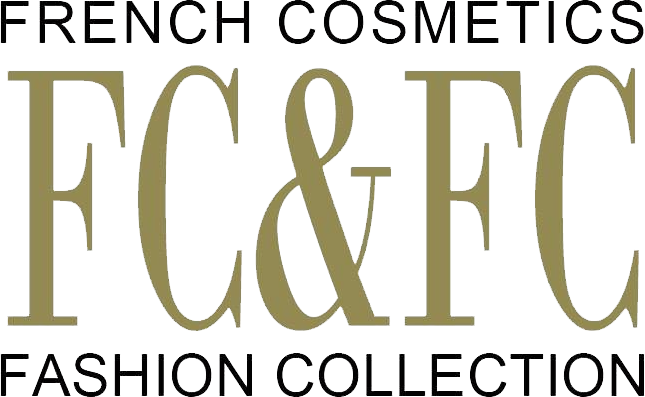 Merchandise and services on fcandfc.com website are offered directly by FRENCH COSMETICS & FASHION COLLECTION SASU (hereinafter referred to as "FC&FC"), legal address: 91 rue du Faubourg Saint Honoré, 75008 Paris, France, firm reference number R.S.C. Paris 801137258, fiscal/code and VAT Registration Number: FR09801137258, the share capital is fully paid up to 8500€, hereinafter referred to as "Provider of services". WE ARE SERVICE PROVIDERS. WE DO NOT SELL OR RESELL PRODUCTS PURCHASED BY EXCLUSIVE SERVICE OF OUR WEBSITE. WE PROPOSE OUR SERVICES OF SEARCH AND FIND OF THE DESIRED PRODUCTS AND TO DELIVERY THEMS. General terms do not apply to merchandise and services offered by third parties mentioned in links, banners and other hypertext links on fcandfc.com website. Before placing an order, using the services or purchasing merchandise from the above mentioned third parties FC&FC recommends its Customers reading their Terms and Conditions as FC&FC will not be liable for the rendering of services offered by third parties or for e-commerce transactions between the Customer and third parties. In order to place an order at fcandfc.com, the Customer shall fill out an online order form and send it to FC&FC in an electronic format following the instructions. The order form contains a link to the General terms, description of each merchandise ordered with the help of our exclusive services with its price (including all the applicable taxes and duties except for customs duties), payment methods selected by the Customer for every merchandise, conditions and cost of delivery and return policy. The order is accepted after FC&FC receives an electronic order form and verifies it. The order form is stored in the FC&FC database during the time required for processing the Customer’s order in accordance with the requirements of legislation (see art. 7). The Customer can view the order form in My orders. Before the order form is submitted you will see a message asking you to verify the entered data and correct any possible mistakes. After the order is placed by the Customer, it will be processed by FC&FC. FC&FC reserves the right to refuse orders if there are not enough guarantees of the Customer’s solvency, if the order is incomplete or has been completed incorrectly or if the ordered merchandise is no longer in stock. In all of the abovementioned cases FC&FC will notify the Customer by e-mail that the order has not been processed and that the contract has not been performed, also specifying the reason. If the merchandise at fcandfc.com is no longer available at the time of the Customer’s last log in to the website or the moment when FC&FC receives the order form, FC&FC is obliged to inform the Customer on the unavailability of the ordered merchandise within thirty (30) days from the receipt of the order by FC&FC. If the goods that you have paid for are no longer available, FC&FC will refund to you the cost of all the merchandise. By submitting the FC&FC order form the Customer accepts and undertakes to respect the General terms in the framework of the contract with FC&FC. If the Customer does not agree to certain provisions of the General Terms, FC&FC kindly asks the Customer to refrain from submitting the order form for the purchase of merchandise by exclusive service of fcandfc.com. After the submission of the order form FC&FC undertakes to send an e-mail to the Customer confirming the purchase of merchandise by exclusive service of our website together with brief information set out in the order form (General terms, description of merchandise, full information about the price, payment, return policy and delivery cost). Fcandfc.com offers services merchandise selected by FC&FC experts. The Provided of services does not concern second-hand merchandise, defective merchandise and merchandise that does not comply with market quality standards. The description of merchandise is given on its page at fcnadfc.com. The delivered merchandise may look slightly different from its photos at fcnadfc.com due to browser settings or screen resolution. All prices are subject to change. Before submitting the order form the Customer shall verify the final price of the order. The Provider of services does not accept orders from countries that are not on the list on the website homepage. All the delivered merchandise has an identification tag attached with a disposable seal. Customers shall not remove the tag or the seal if they intend to return the merchandise. NEITHER the cost of the merchandise NOR the delivery fee paid by the Customer include customs fees, import taxes, brokerage commission or duties. If the Customer does not sign the delivery receipt and refuses to accept the order or refuses to pay custom fees, the ordered merchandise will be returned to the Provider of services who undertakes to pay customs fees and the return shipping cost. If the Customer signs the delivery receipt and agrees to pay customs fees, the Provider of services is not obliged to refund these fees in case the Customer decides to return the ordered merchandise. Customs clearance may cause the delay of the delivery to the Customer. In case of such delays FC&FC recommends contacting the local customs office. The Customer may receive a customs duty invoice several weeks after the receipt of the order. The Customer shall pay for the merchandise and the delivery using one of the methods set out in the order form. In case of payment with a credit/debit card, all the required information (for example, card number or the expiration date) is sent by encrypted protocol to the cardholder’s bank or to other banks that have distant e-payments services that is why third parties cannot have access to this information. This information will be used by the Provider of services only to complete the Customer's order, to make a refund for the merchandise in case of the Customer’s exercise of the right of refunds and if it is necessary to prevent or report to police any fraudulent activities. The Customer will be charged for the cost of merchandise and delivery indicated in the order form at the moment of dispatch of merchandise. Information on transportation, delivery and return of merchandise is available in the Shipping and Return section. Information set out in the Shipping and Return section is part of the General terms and, consequently, the Customer shall read all the information carefully and accept terms and conditions when submitting the order. These General terms are governed by the French law. The General terms are subject to change due to the introduction of new laws and provisions or for other reasons. The updated version of the Terms will be put online at fcandfc.com and will automatically apply for all customers with immediate effect.